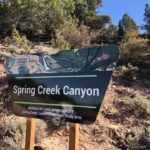 Spring Creek Trail is one of the lesser known trails just to the west of Zion National Park that is fast becoming a hot spot as the typical go-to trails throughout the region get overcrowded during high season. Visit this one from October to April and you will most likely not see more than a few people on it. What we like about this trail is there are almost no unsafe parts to it for little walkers. 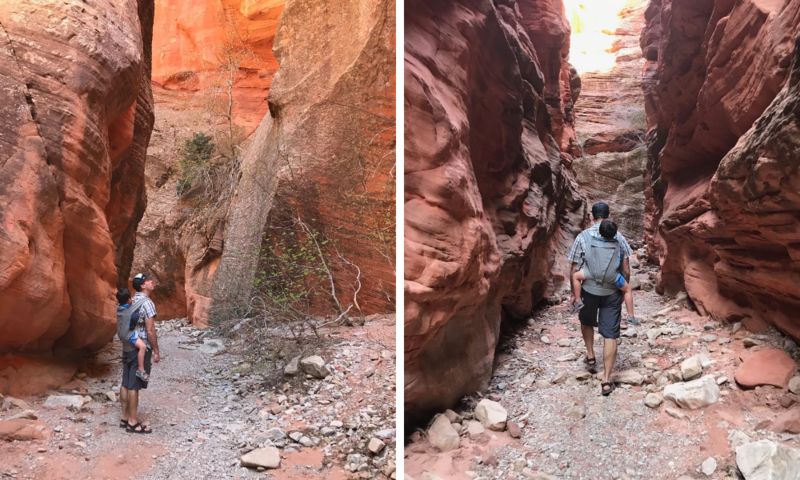 The only hard part would be the distance if you are wanting to go deep into the slot canyon portion of the hike. Travel 1.5 miles in and you will get a taste of the slot canyon and then turn around. If you don’t make it that far, this trail is still a fun adventure because it has a gradual climb back into the canyon and there are lots of tiny creeks to cross. No need to wear water shoes as they are mostly shallow and during parts of the year most of them will be dry. 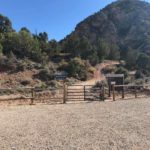 This trail is both dog and horse friendly, so expect to see poop! This is an easy to follow out and back with just slight elevation gain. 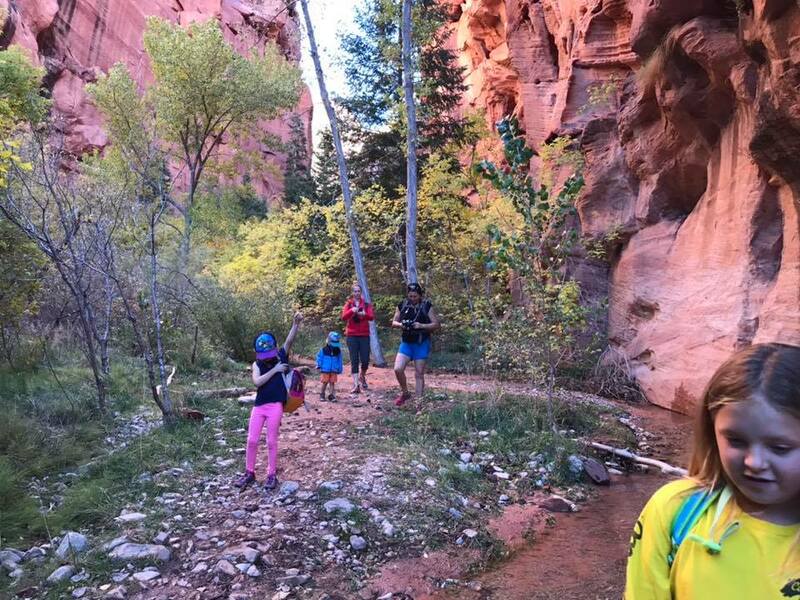 Definitely a fun hike for little walkers and if you are feeling adventurous you can explore far beyond the listed 4.75 miles. 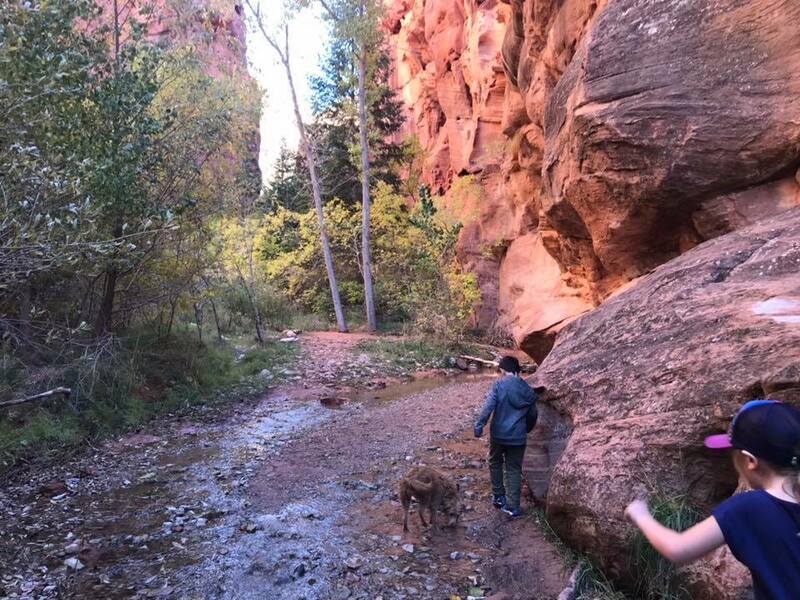 Bring a compass and pay attention to where you are if you venture off into side canyons. Parking lots if clearly marked and no fee is required. There is plenty of parking as well. Shanti Hodges is the Founder of Hike it Baby. Shanti started the organization in Portland, OR in 2013 so she could find friends to hike with. It quickly caught on locally and people started contacting her to help develop hike communities that were baby and toddler focused in other cities. To further support her mission to get families outside, Shanti wrote a book “Hike it Baby: 100 Awesome Outdoor Adventures with Babies and Toddlers.” She is committed to getting local and national parks to be more aware of how they can better support families with babies and newly walking children. 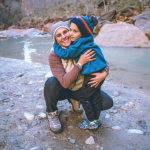 Shanti lives in Southern Utah with her husband and son. In her spare time she’s a hike guide and hosts women’s hike retreats.